I’ve been going back through the archives looking for images that could be used to extend exisiting projects and identify themes to be developed for new projects. It can be a nice surprise to find images that were previously overlooked, a little bit like finding money in a coat when you wear it for the first time in a long time. 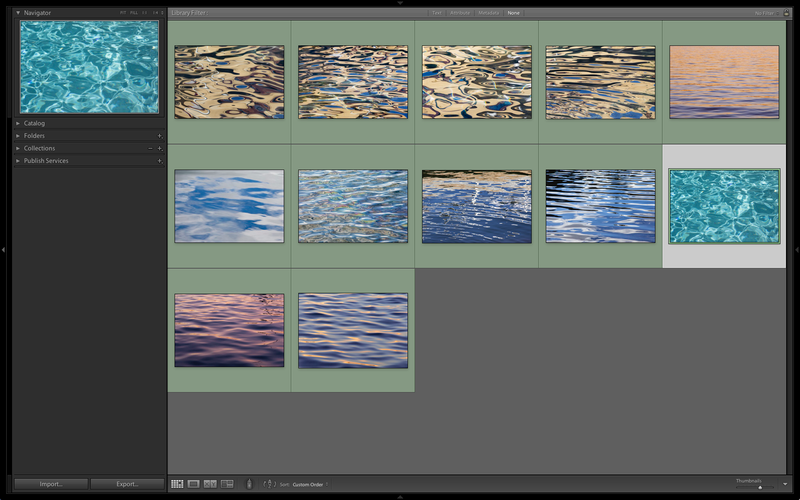 One of the things that I’ve been doing while I look through my images is to set up smart collections in lightroom that will be populated when certain criteria are met. I have a simple color scheme that I use to label my photos – I mark images that I’ve worked on green, ones that are to be worked on yellow and ones to be deleted red. All the photos labeled green (the keyboard shortcut to do this on the mac is simply by pressing the number 8) will then appear in my smart collection folder ‘selects’. I’m in the process of refining this collection using keywords that will then put images into project folders – ‘coast’ captures the images at the coast that I like so much, ‘trees’ is my tree project that is slowly coming along and ‘water abstracts’ is a project that came to light as I was going through the archive. 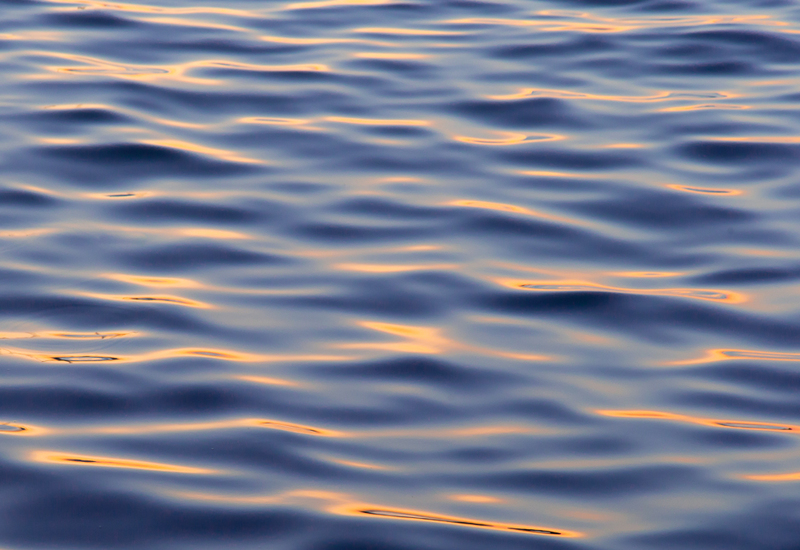 The image above is one from the water abstracts collection. A screen grab of this collection is below. There’s definitely a ‘one of these things is not like the others’ element to this collection that I will need to resolve at some point, either by punting the offending image or building additional images into the set so that it is no longer a singleton. Having a number of clarified projects percolating in the background means that I’m sensitized to the opportunities for adding to these projects which will hopefully allow them to mature more rapidly.